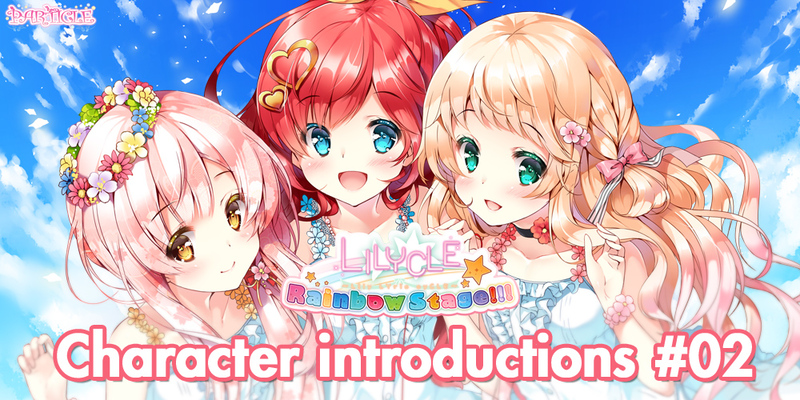 The second character introduction video for Lilycle Rainbow Stage!!! is now available on our YouTube channel! Check it out here! The Lilycle yuri CD series returns, featuring the same all-star cast, but now in a fully-visual adventure game. While a must for dedicated yuri fans, the fun and easygoing stories contained within will warm the hearts of all who read them. Lilycle has a sweet, heartwarming story bursting with content, with cheerful and highly-detailed illustrations by Sakura Miwabe, and featuring a sophisticated game system viewed from the standpoint of one character at a time. As every character’s perspective is shown, you could say that they’re all the protagonist! All story episodes are selected from the main menu, which is arranged like a calendar, with different ones viewable on different days. Once specific episodes are completed, new ones will become available, allowing the player (that’s you!) to experience the intricacies of Lilycle’s storyline. Learn more about this title on our landing page, or purchase your copy on either MangaGamer.com or Steam! Tagged Lilycle Rainbow Stage, Particle, yuri.